There are two movies coming out soon about parents who find out their child has led a murder/suicide at school. That’s extreme, but every year there is at least one movie about parents who have lost a child. This may seem like a slam-dunk topic to write a script about: “So much emotion! So much drama! How will they ever recover?” But is this really promising material? Your job is not to go for quantity of emotion, but quality, and smaller is often better in such cases. The important thing is to write about emotions that you know, and know well. Most audience members won’t be experts about any particular job, but emotions are a issue on which everybody is a genuine expert. Writing emotions that ring true but aren’t clichés is the hardest part of the writer’s job. It’s hard enough to write about the details of police work without treading on well-worn cop movie clichés, but when you’re building your character’s emotional life, you’re competing against every story ever told, all of which chart emotional journeys, making it that much harder to say something genuine that hasn’t been said a hundred times before. There are two ways to solve that challenge. The first is to throw your characters into extreme emotional situations that are relatively unique onscreen, such as losing a child to a murder/suicide. The problem is that this probably hasn’t happened to you either, or anyone you know. This means that you’re just guessing as to what emotions this would dredge up. Worse, it means that, even if you do get it right, the audience won’t know it. They’re just guessing, too, since they’ve never been through it either, so they can’t identify anyway. This is one reason that smart showrunners would rather hire a stand-up comedian to write TV than a chump like me with a screenwriting MFA: Stand-ups specialize in finding these emotions. 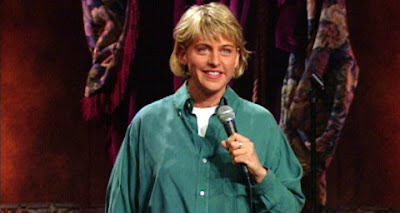 I remember falling in love with Ellen Degeneres early on when she did a routine about something everyone has been through: You leave the house, walk down the street, and then suddenly remember something you forgot. What do you do? You don’t just turn on your heel and go right back—first you snap your fingers in the air. Why? Because you’re afraid that one of your neighbors might be watching you and they’ll think you’re crazy unless you give the universal sign that you’ve just remembered something. An embarrassing little observation that is universally true: yet never expressed out loud before. That’s the heart of good writing. I don't know, I think it's more like "write the characters you know." If you do that, the non-cliche emotions will follow, whether they come from everyday life or more extreme dramatic situations that you can reach with some alchemy of human empathy, emotional intelligence and writerly imagination. Consider your two examples. Let's start with the forgotten keys. I suppose I can see Ellen's point, but, being the super-introverted somewhat rebel I am and not ever having cared about what my neighbors think about how I look doing anything, there's no way I'd feel the need to ever snap my fingers before returning to my house to get something I forgot. So if you stick with Ellen's sharply observed never before used true-of-many detail when writing about a character like me, you get it wrong. With the suicide of a child, the truth of the reactions will flow from the core of your characters, what makes them uniquely them. Is it their first child, their only child, their favorite child? Are they unassuming high school music teachers with rich inner lives or outgoing drill sergeants who never talk about their feelings? Or even brilliant psychologists whose specialty is treating depression? Just the slightest change in the history, experience and disposition of the parents will alter their reactions to an unexpected tragedy. That's where I'd go looking for precise and original emotional responses. The family drama in this post reminds me of a novel I read last year by Thomas H. Cook called RED LEAVES. What was great about that book was how it reframed cliche emotions -- a parent's feelings toward his sullen, awkward, aloof teenage son. The kid likes to spend time alone in his dark room, hates school, doesn't talk to his parents, blah, blah, blah -- boring. Except that every symptom of what would otherwise be a normal teenage awkward stage gets reframed when a terrible crime happens nearby and the kid becomes a suspect. Sometimes, the emotions aren't the key to making it new, but the central story metaphor is. 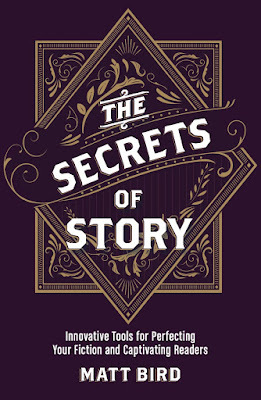 Which is where genre can really help out in spinning emotional flax into narrative gold. David Chase's conflicted feelings about putting his mom in a nursing home are boring -- but, like you wrote in a much earlier post, Tony Soprano's feelings about the same circumstances are not. Agreed. What made the Sopranos work was that it gave Chase an operatic venue to express the guilt and disappointment he felt about his real life. What made Buffy work was that it addressed familiar high school emotions in a wildly exaggerated way. Which is to say, I prefer real emotions with outlandish execution to outlandish emotions with realistic execution. The problem I have with most dead kid movies is that they're so turgid and self-serious. "Hey guys, feel the pain, 'cause this is real!" But is it real? Buffy had a lot of fun even though it was based on very real pain. Dead kid movies have no fun at all even though they're based on imaginary pain.